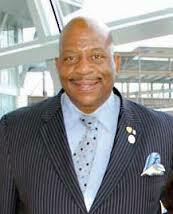 It’s time to bring back Dr. J. Keith Motley as the chancellor of UMass Boston. The turmoil that is swirling around UMass Boston’s Dorchester campus is distressing and unnecessary. The university desperately needs a leader, someone with a deep institutional knowledge and– critically – a well-informed vision for what Boston’s only public research university can and should be. Someone, that is, with a track record of running an urban campus with the personality, passion, charisma, and confidence to bring it to fruition. Someone who knows the various players ¬– from students and faculty to board members – and who can hit the ground running. Until last spring, UMass Boston had that kind of leader in place: Keith Motley. His forced ouster – promulgated largely through the press – was swift and merciless. He was drummed out of the job he had held for 10 years because UMass Boston and the UMass system jointly amassed a deficit that grew to an estimated $30 million, a figure that has since been pared down significantly. Motley was made the scapegoat for the generations-long problems that have beset the Boston campus from its earliest days. Forget that he shepherded the campus through its greatest period of growth in enrollment and modernization. Forget that he executed a master stroke in scooping up the 20-acre Bayside Expo site for $17 million in 2011, a site now conservatively estimated to be worth $150 million. Forget that he – through tireless personal effort – persuaded neighbors long dead-set against the university’s evolution into a residential campus to accept the first-ever student dorms. Motley did all of this, and more, with distinction. And he was— and is— a beloved mentor figure to hundreds of young people on campus and beyond. The excesses – over-budget building projects and delays caused by the ground contamination that complicates most efforts on this onetime dumping ground – are Motley’s, too. But he shares them with a system that asked for the impossible from a campus that has been hamstrung from its birth by a flawed substructure that needs to be re-made. At this point, an eight-month search for a new chancellor has run aground amid recriminations on all sides. Trust has broken down between the office of the UMass system’s president and the key constituencies on the Dorchester campus. The president, Marty Meehan, said this week that UMass won’t even try to mount a new chancellor search in a climate that he characterizes as toxic. So where does that leave this campus? Barry Mills, who replaced Motley last year at the direction of Meehan, is leaving his interim post in a matter of weeks. In an interview with the Reporter last month, Mills was bullish about the Dorchester campus’s future. And he’s right to be optimistic: Despite all the distractions – from the chancellor imbroglio to the Mount Ida acquisition – there’s a butterfly moment for UMass coming right around the bend: New buildings, including the first ever on-campus housing for undergrads, and a new 700-vehicle garage to ease the transportation headaches, are just weeks from opening. And a long-deferred, and costly, road and infrastructure project is almost complete. The dirt piles will be gone, the detours will end. The peninsula will – at least for a period – cease to have the feel of a massive construction site. But Mills was also candid about the urgent need for a permanent leader to make the big decisions about things like the Bayside property, more dorms, and relocating key programs, like the successful nursing program. He's right about that, too. But what if there is no “next leader” in the immediate future? Should this dynamic, vital public institution in the heart of Boston be put on ice while another long search is undertaken, a search that Marty Meehan yesterday said would essentially be fruitless due to the way the last one ended? This campus needs immediate leadership. Keith Motley did not resign. He remains a part of the UMass Boston community, set to take on a renewed role as a faculty member this fall after some time off. He is available, on the payroll, deeply knowledgeable about all of the inner workings of the campus and the surrounding neighborhoods. He has a rapport with students, faculty, administrators, and neighbors that is authentic and trusted. Motley is not without his flaws. But this is a sink-or-swim moment for UMass Boston. Its students, the most important people in this whole discussion, should be able to look to the adults in this room for assurance, for stability, for guidance, and for maturity. Keith Motley is the person for this moment, and with the right support from the UMass system, he can be the leader this university needs for the coming years.It’s time to make the call. Chancellor Motley, an anxious campus turns its eyes to you. Bill Forry is the editor and publisher of the Dorchester Reporter.